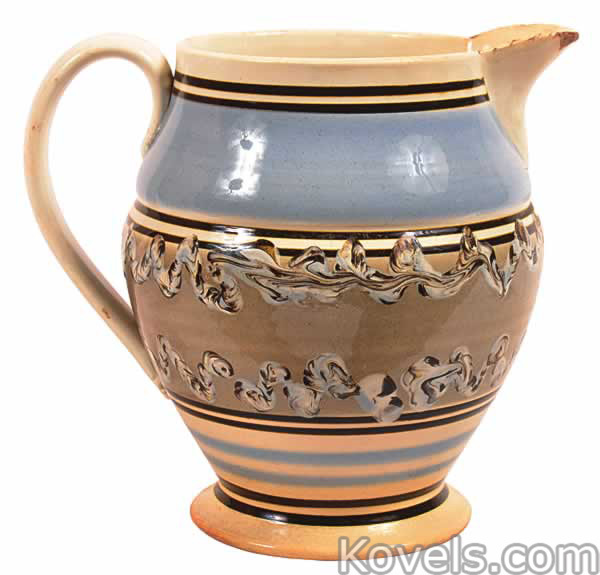 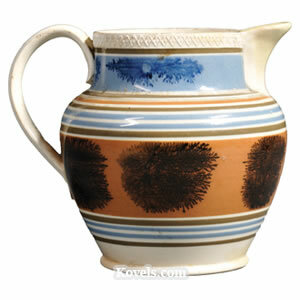 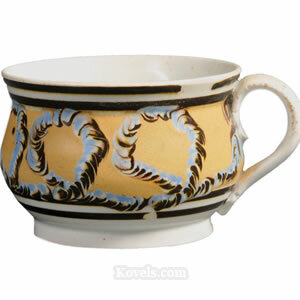 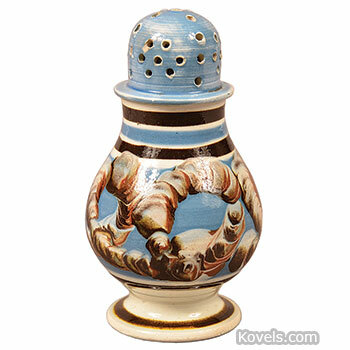 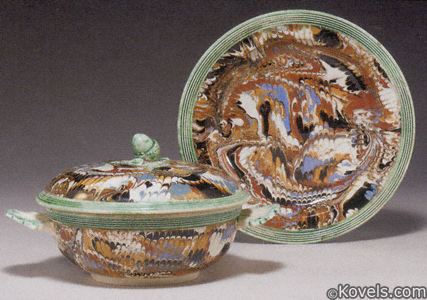 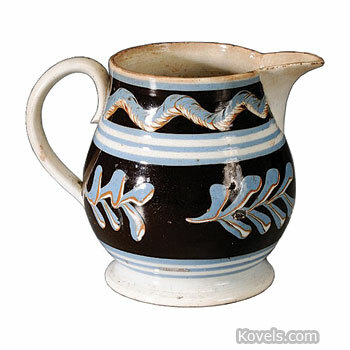 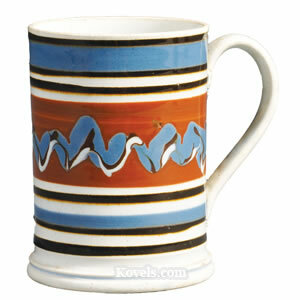 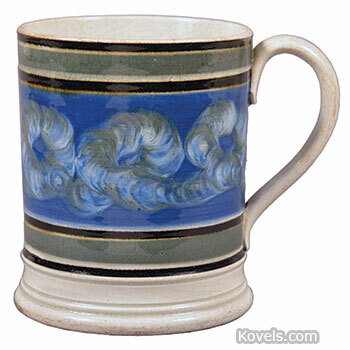 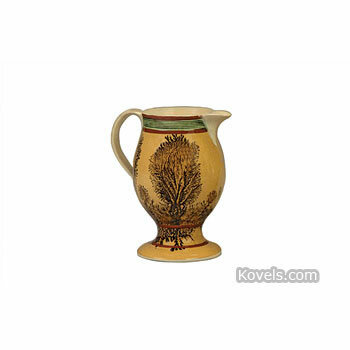 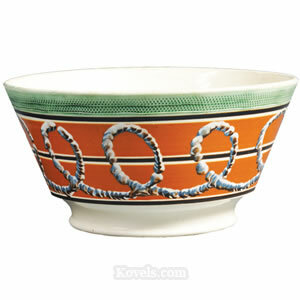 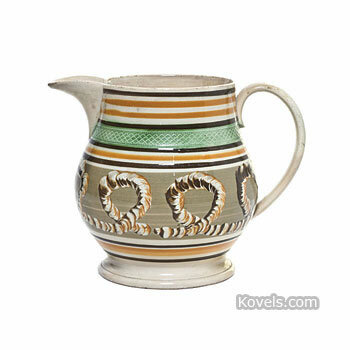 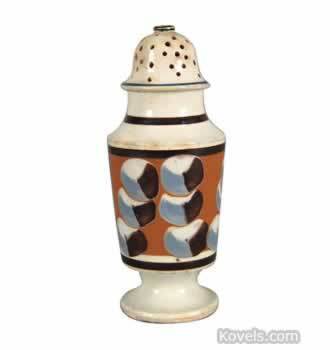 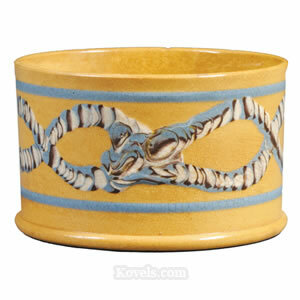 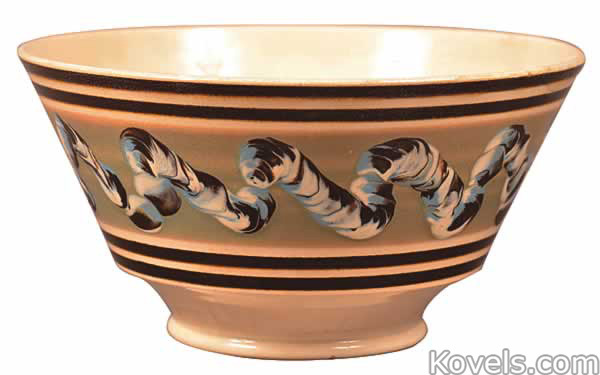 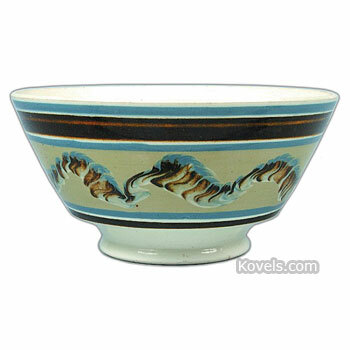 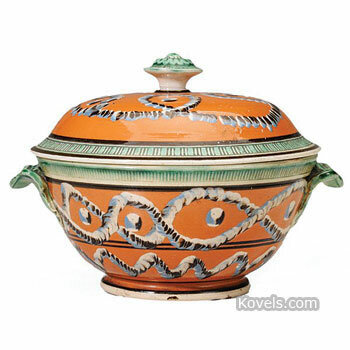 Mocha pottery is an English-made product that was sold in America during the early 1800s. 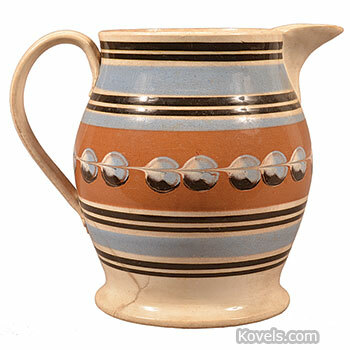 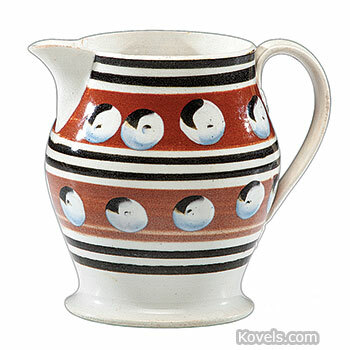 It is a heavy pottery with pale coffee-and-cream coloring. 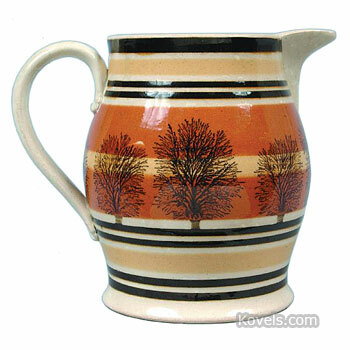 Designs of blue, brown, green, orange, black, or white were added to the pottery and given fanciful names, such as Tree, Snail Trail, or Moss. 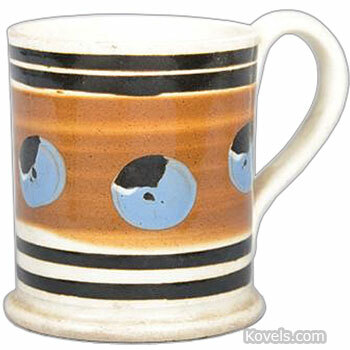 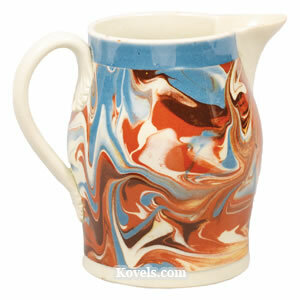 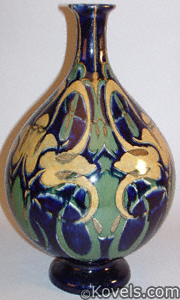 Mocha designs are sometimes found on pearlware. 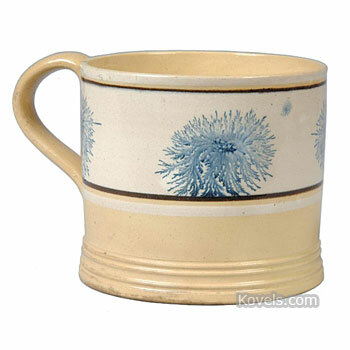 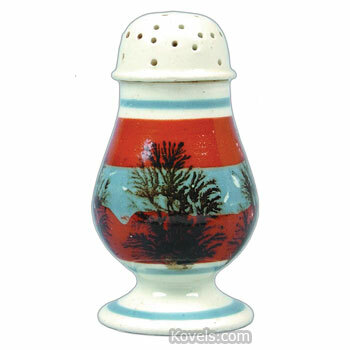 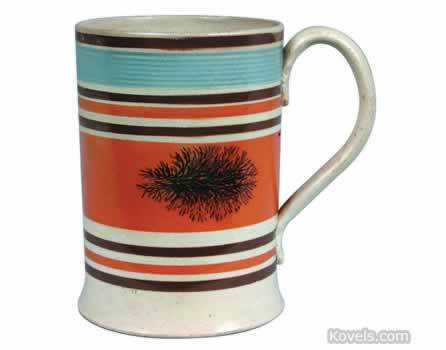 A few pieces of mocha ware were made in France, the United States, and other countries. 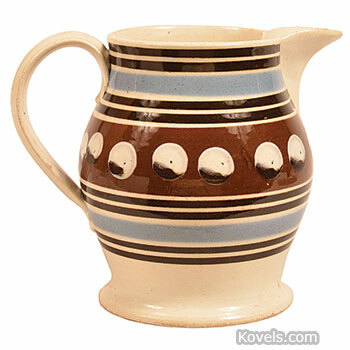 Mocha ware was rarely marked. 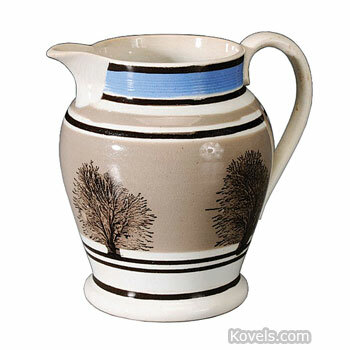 Older mocha has a lighter color.